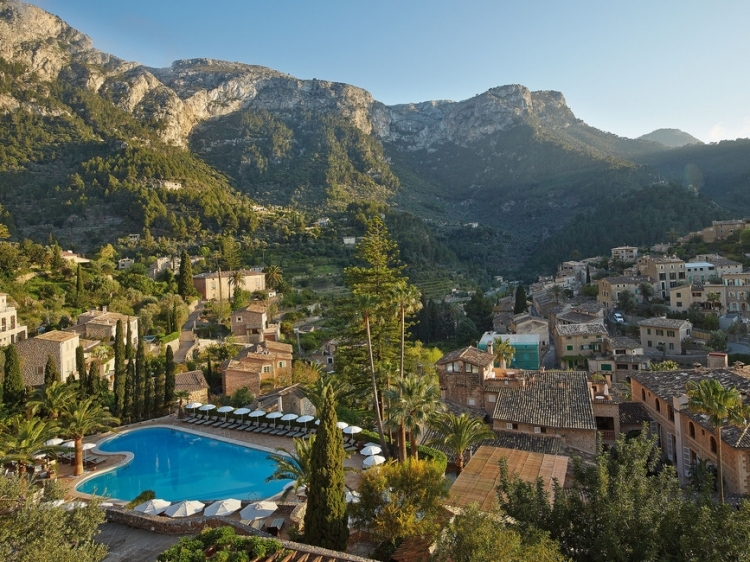 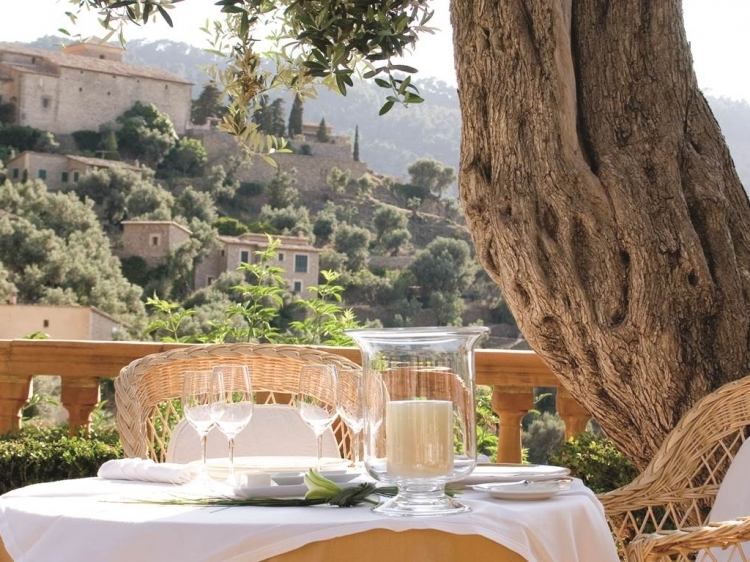 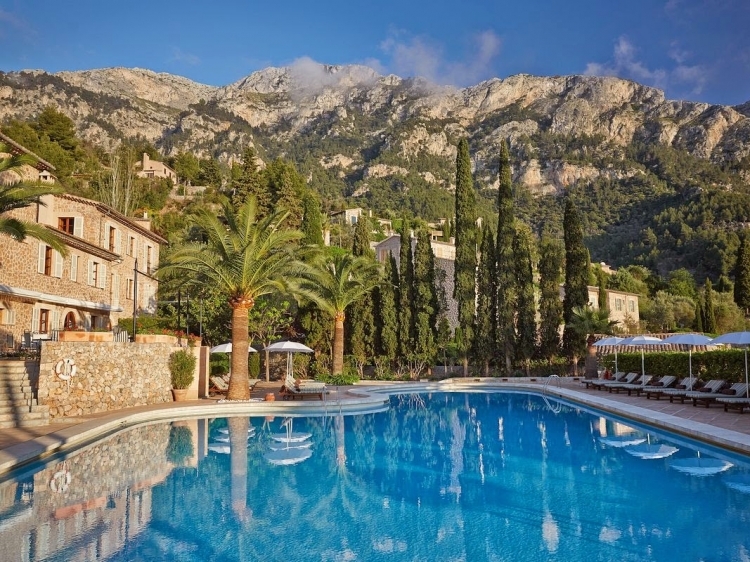 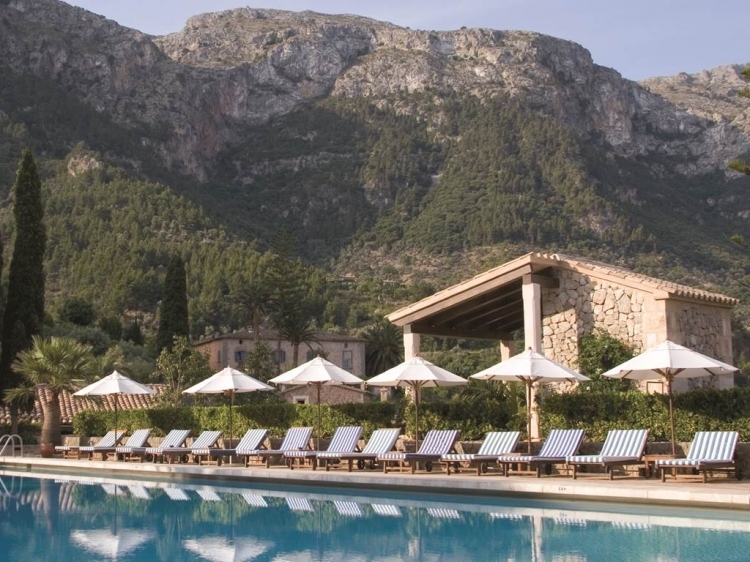 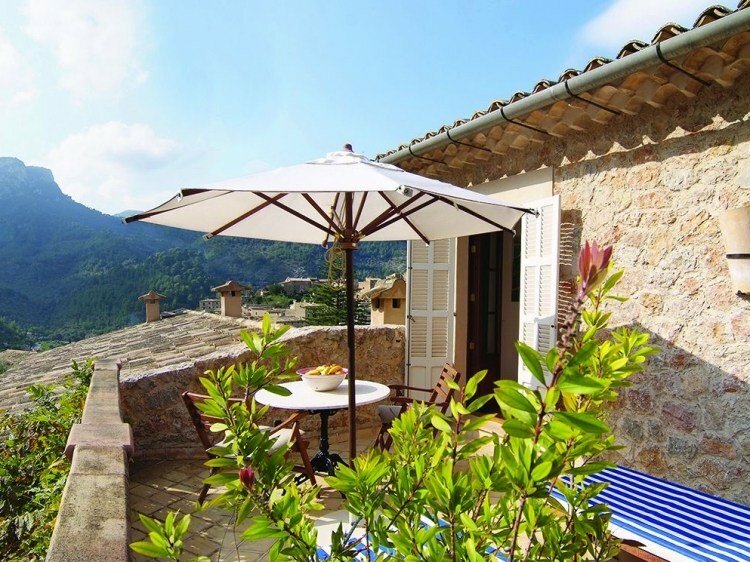 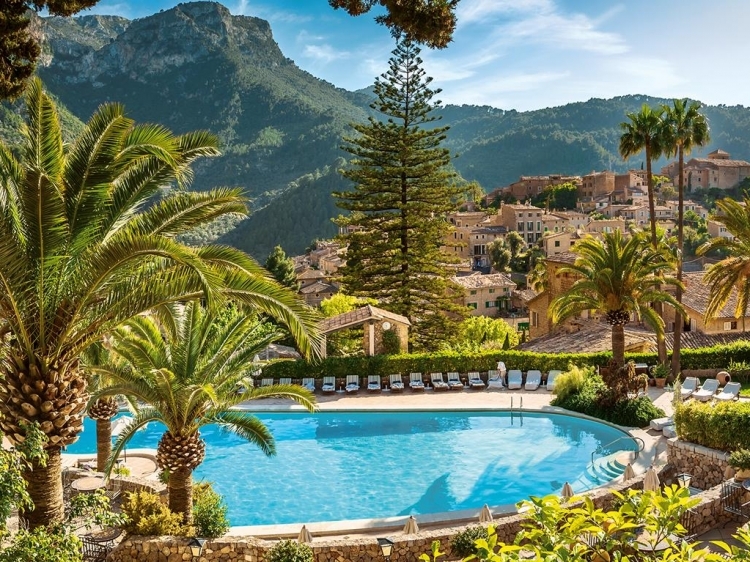 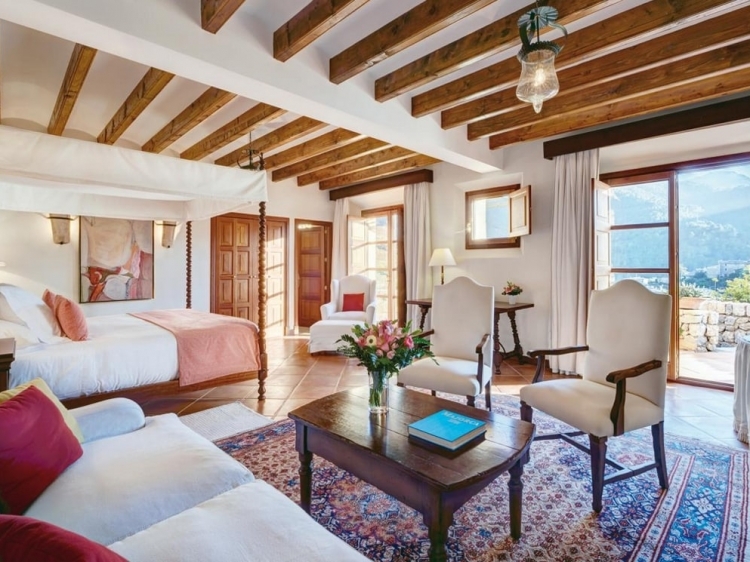 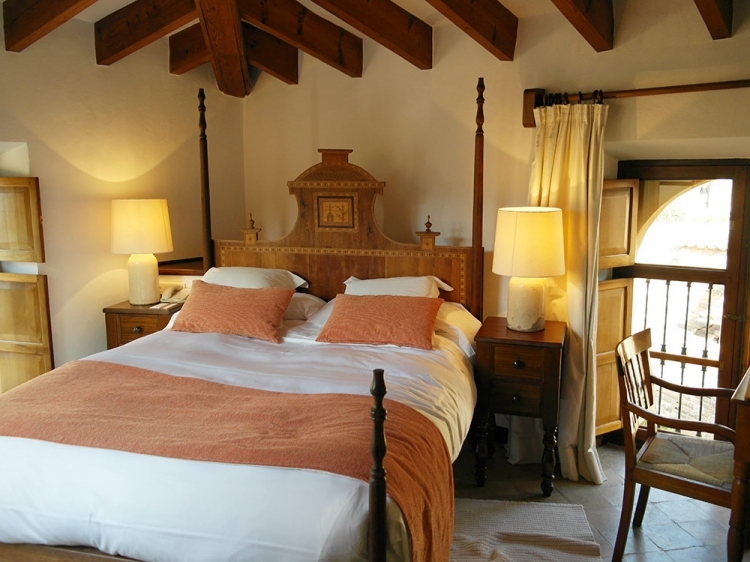 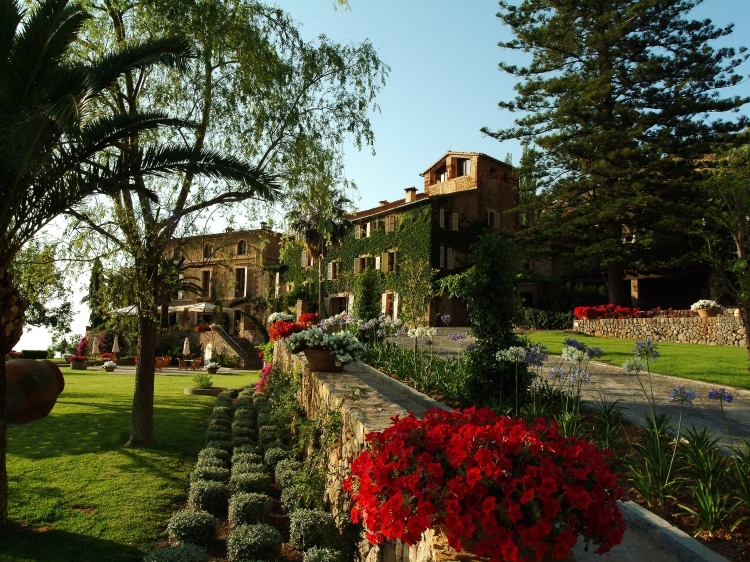 Set in 30 acres of landscaped gardens, terraces and orchards in the charming village of Deià, this stately 17th-century residence with its magnificent flower-bedecked terraces lies in idyllic surroundings between the sea and the mountains. 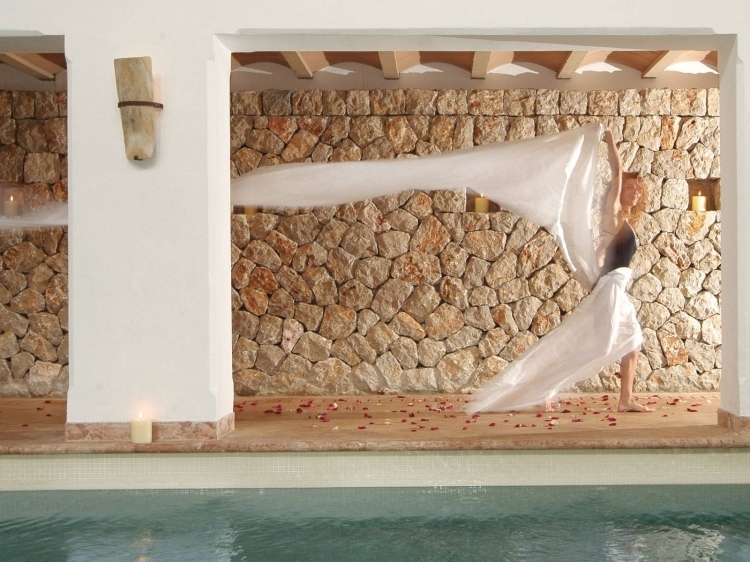 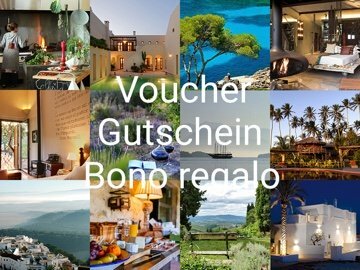 All interiors and exteriors of the hotel are in the traditional Mallorcan architectural style with furnishings and fittings of great beauty. 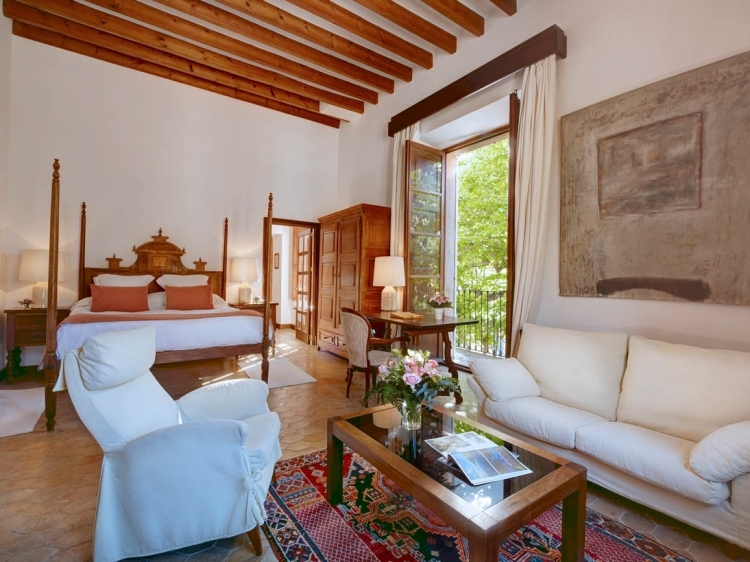 Much of the furniture consists of antique pieces that blend in with the surroundings and add charm to the building. 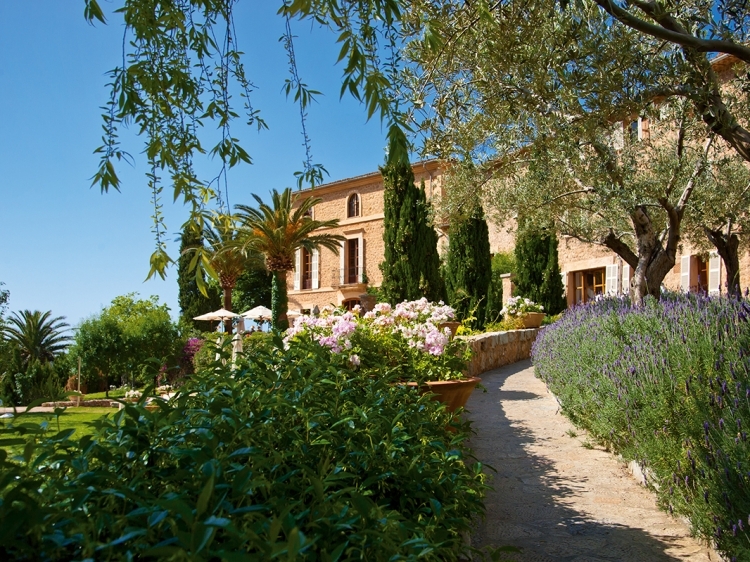 In the gardens, note the stonewalls – a local handicraft that in Mallorca has not died out or relax under the shade of eucalyptus and lime trees and enjoy the superb panoramic views. 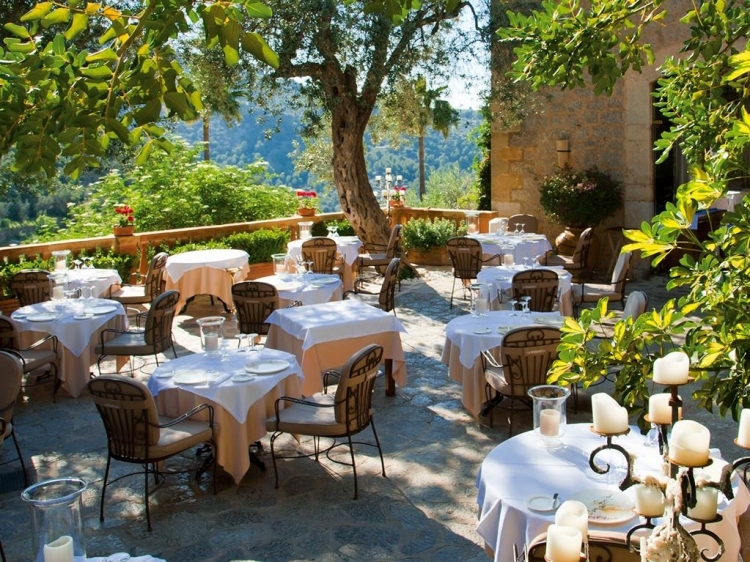 One of the two restaurants is set in the old olive press and features local specialities and a superb wine list. 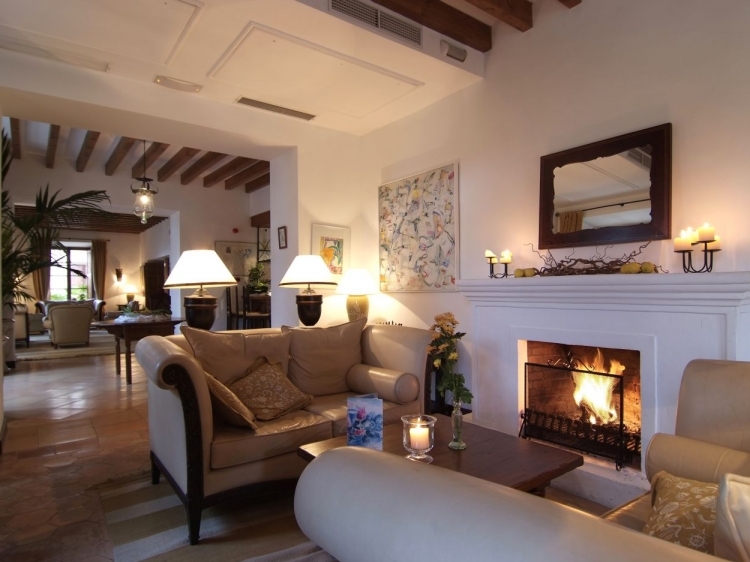 Throughout the hotel, visitors are able to admire a wonderful art collection – all work of local artists. 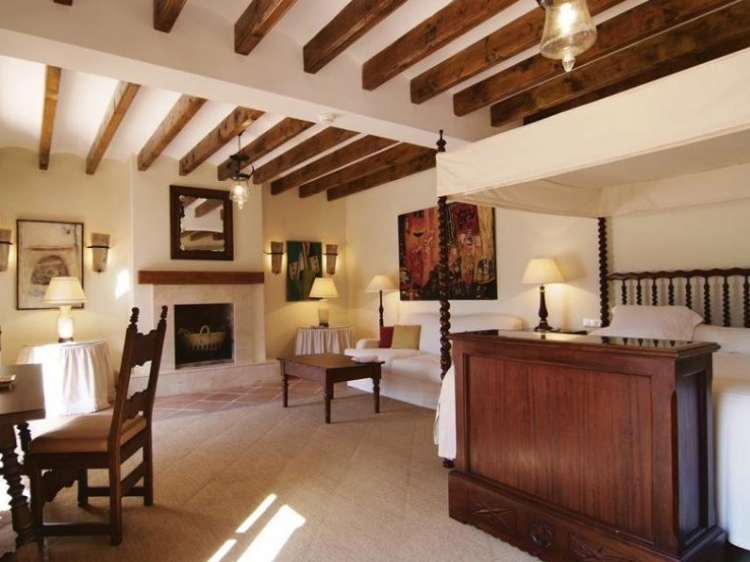 Art exhibitions are periodically held in the hotel.